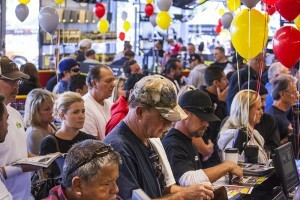 Browsing articles tagged with " colorado"
Compton, California (June 10, 2015) – Transamerican Auto Parts (TAP) subsidiary, 4 Wheel Parts, the global leader in off-road aftermarket performance product sales and installation, is advancing an aggressive expansion strategy with the grand opening of their newest location this Saturday, June 13, in Baton Rouge, Louisiana in addition to the simultaneous grand reopenings of their retail showrooms in Denver and Westminster, Colorado that same day. 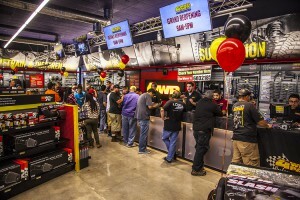 Joining its neighboring Bossier City location in Louisiana, the Baton Rouge 4 Wheel Parts store expands the company’s total to 69 retail locations in North America, while bringing 4×4, truck, Jeep and SUV owners in the region access to the industries’ top brands presented within 4 Wheel Parts interactive retail store model. Following the same interactive model, the renovated Denver and Westminster stores in Colorado have been redesigned to feature state-of-the-art showrooms and installation facilities as the newest locations to receive the company’s progressive updates. In addition to this new location in Baton Rouge, the company recently expanded its operations north of the border with stores in both Langley, BC and Edmonton, AB. Earlier this year, 4 Wheel Parts announced the doubling in size and capacity of its distribution center in Coppell, TX, significantly increasing available inventory and servicing wholesale and retail customers in the Southeastern U.S.
Additional objectives for 2015 include a new distribution center to serve the Pacific Northwest and Western Canada slated to open in September and several more new stores as 4 Wheel Parts’ continued growth initiatives reaffirm its position as North America’s only coast to coast retailer catering to the off-road, 4×4, Jeep SUV and Truck performance aftermarket. “Our customers love to get outside with their 4x4s and get dirty. We take pride in bringing our stores into new regions where we can fill this need for accessible, affordable products for their trucks, Jeeps and SUVs at a lower cost and with more choices and deliver this to them faster than ever before,” said Cervantes. Grand Opening and Reopening events at all stores are free and family-friendly, providing attendees the opportunity to view the latest truck and Jeep products from popular manufacturers in a setting designed for enthusiasts. ASE-certified technicians are available to perform installs on parts and accessories purchased. The Baton Rouge Grand Opening Celebration will take place from 9 a.m. to 5 p.m. Saturday, June 13 at the newly-opened Baton Rouge, LA store at 10625 Airline Highway Service Road. For more information, call the store at (225)293-2910 or email bat@4wheelparts.com. The Grand Reopening Events at 4 Wheel Parts’ Denver and Westminster locations are this Saturday June 13 from 9 a.m. to 5 p.m. The Denver store is at 12655 E. 42nd Ave. Suite 1, Denver, CO 80239, Phone 303-341-5337 and Westminster is at 7001 Federal Blvd., Westminster, CO 80030, Phone 303-430-9300. About 4 Wheel Parts: 4 Wheel Parts is the global leader in off-road truck, Jeep and aftermarket performance products. With 69 locations across the U.S. and Canada and growing, 4 Wheel Parts Service Centers install all the products they sell. Maintaining the nation’s largest inventory of off-road parts like tires and wheels, suspension systems and bumpers, 4 Wheel Parts serves customers across the country and around the globe. Life is Better Off-Road™. Visit them at 4wheelparts.com or call toll-free 877-474-4821.